OLD PARKED CARS. 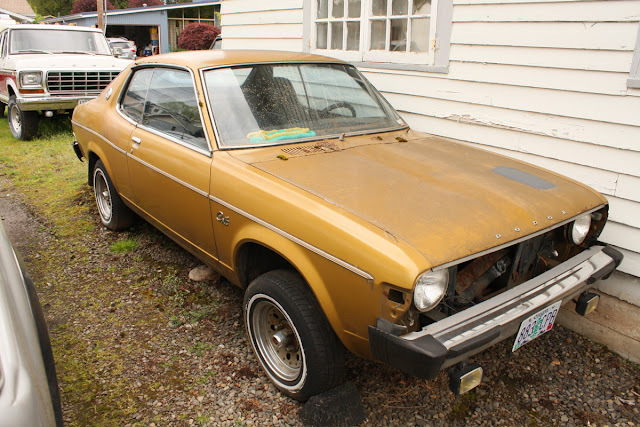 : Colt Cult: 1974 Dodge Colt. 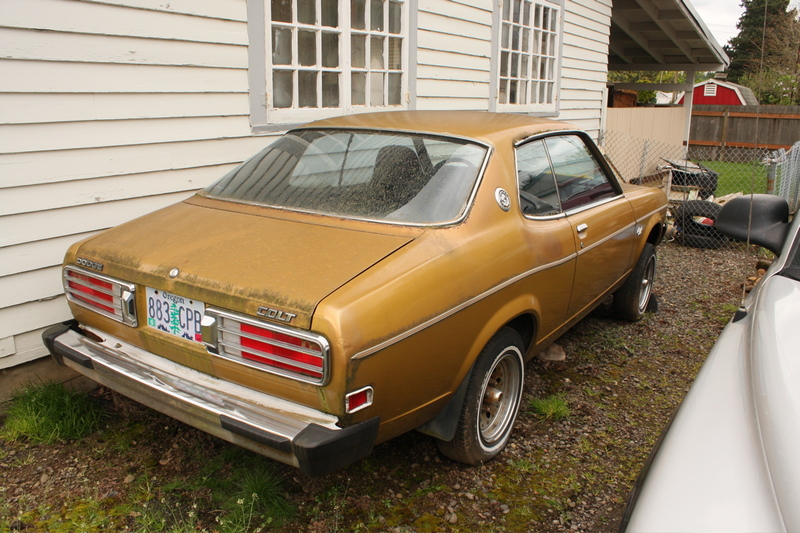 Colt Cult: 1974 Dodge Colt. Nice. . . A 70s era Colt is extremely rare. Looks like the paint holds up well in the NW. that's exactly the turn-of-phrase i needed, Getafix. well played. 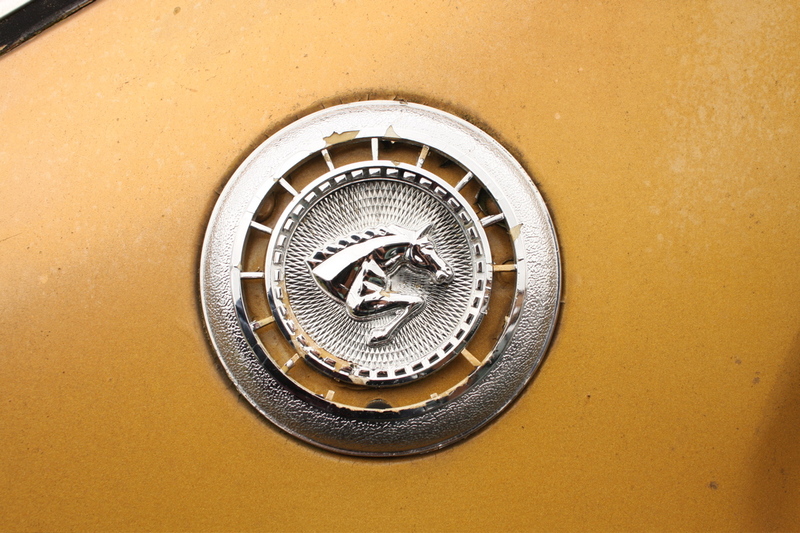 Great shade of gold/bronze-love the shot of the Colt emblem. I wonder if this was used as a parts car for the Colt GT. It looks like it's missing the engine, plus the grill and marker lights are gone. What a strange place to cut off the Colt's body? But imagine what it would have done to production costs to leave the rest of the body in that sweet circular frame. Did they really offer such different bumpers in 74? I'd think this must be a 75. The no mirrors or wipers is a clean look.